Fine hand-beading and sequins on both ends. 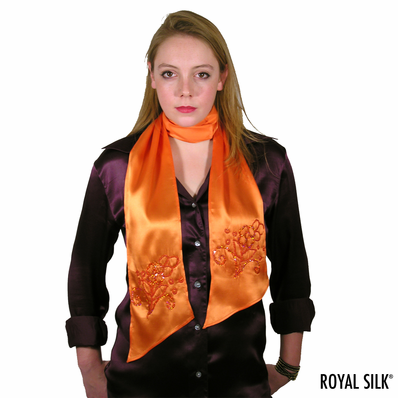 Amaze them with this bright orange scarf in creamy satin silk scarf that glows like light. 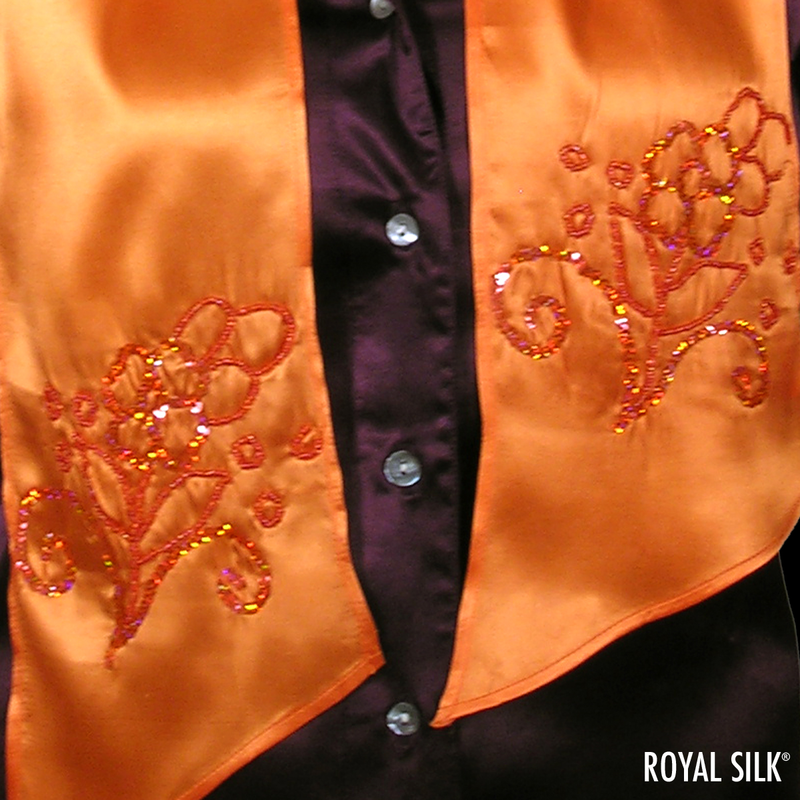 Lovely beaded and sequined flower and leaf motif on both ends of the silk sash. Styled in genuine silk charmeuse that drapes beautifully and feels heavenly. Diagonal ends, as shown. Hand wash or dry clean. 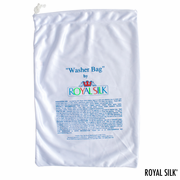 Or machine-wash with Silk Washer by Royal Silk (buy separately). Length: about 6" by 60".